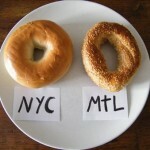 The Montreal Style Bagel | Montreal Bagels vs. NY Bagels | Kettleman's Bagel Co.
Montreal style bagels are considered by many to be the best bagels in the world – superior to the New York style bagel that is more widely known across North America. What makes these bagels different? What’s the story behind the delicious recipe? Why do they taste and look different than regular bagels? The recipe was brought to Montreal via Polish and eastern european Jewish immigrants around 1880. Isadore Schlafman and Chaim Seligman are widely credited with officially introducing the recipe to Montreal. Schlafman was selling bagels in a makeshift bakery in an alley off of St. Laurent, and Seligman was selling his wares by the dozen off of a horse drawn carriage. For a while, Jack Schlafman (Isadore’s son) and Seligman were in business together, but they eventually ended up having a falling out. 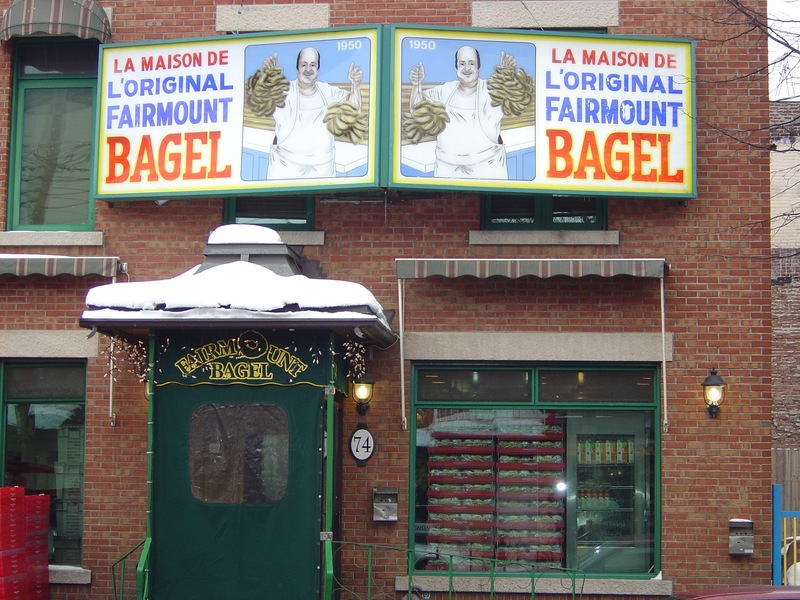 Schlafman opened Fairmount Bagel in 1949 in Montreal’s Mile End community, and the legend states that while he was building the shop, he conveniently found an old brick wood burning oven that was perfectly suited to the business. 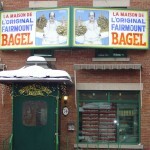 Fairmount Bagel is often referred to as the original Montreal bagel bakery. 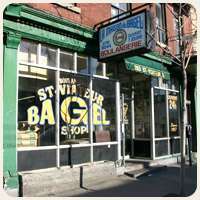 St. Viateur Bagel, another Mile End and Montreal institution was opened in 1957 by Myer Lewkowicz and Seligman, and is also famous for their Montreal style bagels. The two shops still operate to this day and compete for the title of Montreal’s best bagel. The recipe is significantly different than that of a traditional bagel. For one thing, the bagels are boiled in “kettles” of honey water – (hence the name “Kettleman’s”) before being baked. They’re also hand cut and rolled, have a larger center hole, are less dense, and are sweeter. 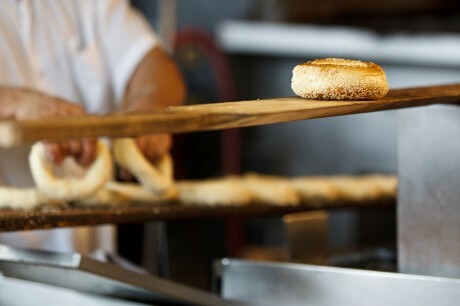 Unlike New York style bagels, they contain no salt, and as a result of the wood fired baking process, they’re crispy on the outside and chewy on the inside. There’s predominantly two main varieties – poppy seed and sesame seed. It’s an interesting piece of history. 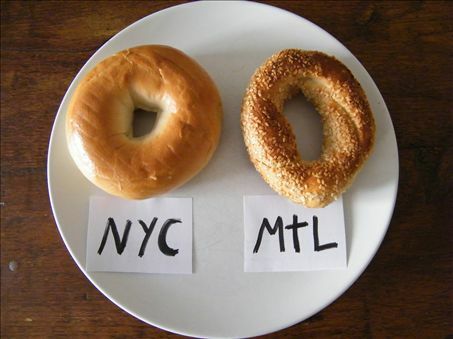 It’s also been an interesting debate as to who makes the better bagel between the two cities… check out this article from 2009 in the New York Times. Mayssam Sammaha published this “truce” of sorts in Honest Cooking that does a pretty good objective comparison between the two styles. What do you think? Have you had a New York style bagel? Who do you think makes the better bagel?